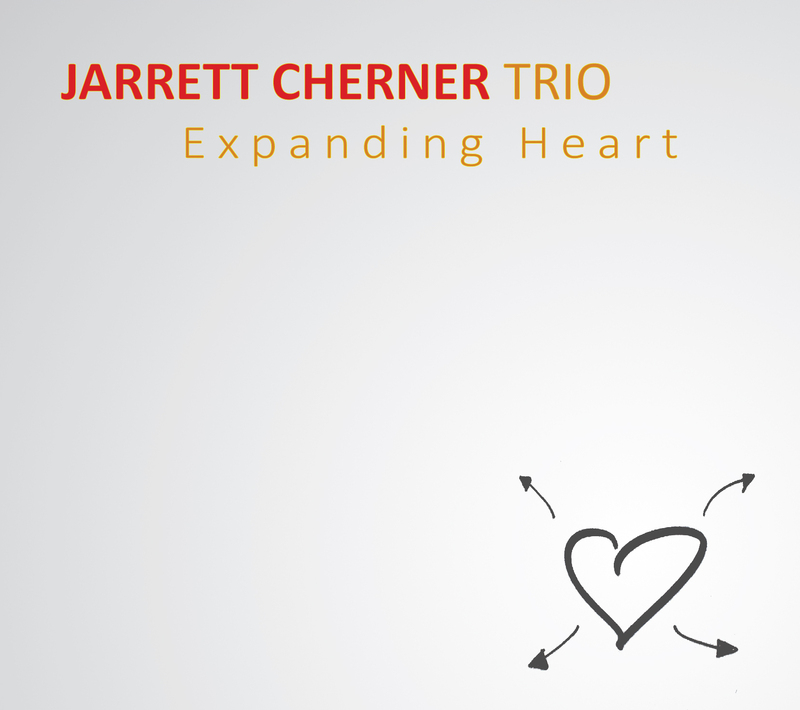 Baldhill Music proudly presents the October 21 release of ‘Expanding Heart’ presented by pianist and composer Jarrett Cherner. To celebrate the release of ‘Expanding Heart’, Cherner will be performing in New York, Boston, Lancaster, PA, Laconia, NH and Portland, ME. Brooklyn-based pianist Jarrett Cherner has emerged as one of the most compelling young musicians on the jazz scene, beginning with his fine trio debut Burgeoning (BaldHill) in 2006. In recent years he has devoted the bulk of his composing to the collective jazz quintet Sketches (sketchesmusic.com), which has two critically acclaimed albums to its credit: Sketches Volume One (BaldHill, 2013) and Volume Two (Brooklyn Jazz Underground, 2014). Now, with ‘Expanding Heart’, Cherner returns as leader of his own trio and sets out anew, playing brilliantly on a recording that reflects personal growth and combines original material with covers of wildly disparate songs by Vincent Rose, Otis Redding and Ornette Coleman. While Cherner is intent on continuing with Sketches (and building up his BaldHill label with releases by himself and other artists), Expanding Heart provides another outlet and taps into the deep relationships that Cherner formed with players he met years ago while studying at New England Conservatory (bassist Jorge Roeder) and Manhattan School of Music (drummer Jason Burger). Two tracks featuring another pair of close musical associates, (bassist Haggai Cohen-Milo and drummer Richie Barshay), are from an earlier 2012 session, and more chamber material from this date is slated for release in 2017. The album closes with the third Meditation, developing the intriguing fragment first heard on “Opening.” Expanding Heart ends, then, with an expansion. It’s as clear a summation of Cherner’s top-tier abilities, musical values and consistently evolving vision as one could wish for.